A Kwanzaa bar crawl? This is the Blackest thing I’ve seen in a while. It’s the holidays, so I’m all for getting lit and supporting Black owned businesses. It’s an all day lituation where people of the African diaspora join together to support the Black-owned bars in their neighborhood. Crawlers will be dressed in whatever makes them feel Black and beautiful, for a day of unity, fellowship, and fun! I love love cooking and entertaining. I can pick out the best wine for dinner, I know how to assemble a charcuterie board and I know how to pronounce charcuterie. I can create a very impressive yet no- fuss meal with the quickness. I am that, honey. I love cooking and entertaining so much that I just launched an IG page dedicated to cooking called Fly Girls Cook! Now, there’s nothing there but there will be. LOL! But follow it now to be in the know. For my fellow fly girls who also throw down in the kitchen, here’s my curated list of my faves for cooking, snacking and entertaining. Because you cannot eat all of Patti’s Sweet Potato Pies, you gotta swap out the sweets for something with nutritional value. MadeGood is the answer to your sweet or salty cravings that won’t extend your waistline. This brand produces delicious, healthy granola bars, granola minis, crispy squares, crispy light granola, and soft baked cookies in a dedicated facility free from the 8 common allergens: peanuts, tree nuts, wheat, dairy, egg, soy, sesame, fish, and shellfish. For this reason, MadeGood snacks are organic, gluten-free, non-GMO project verified and contain the nutrients of one full serving of vegetables in each serving. Check out MadeGood products on Amazon. Ladies- while you’re loading up on all the Christmas goodies, make sure you stay regular. I know, TMI, but I take wellness seriously. Wonder Drink Prebiotic Kombucha, the first and only kombucha with a Certified Organic, plant-based, prebiotic fiber called XOS Fiber known to selectively nourish certain naturally occurring probiotic bacteria in your gut. Healthy gut health is a real thing, so say hello to your gut’s new best friend. Each 12 oz can contains only 10g of sugar. It’s fabulousness in a can! It is great to drink as is, or it can be used to make great cocktails and comes in three fruit-forward flavors: Apple Mint, Ginger Peach and Tropical Mango. Wonder Drink Prebiotic Kombucha is Certified Organic, Non-GMO, vegan and gluten-free. Find Wonder Drink Prebiotic Kombucha here. Between watching my little nephews, hitting the gym and blogging, I am pooped and the holidays are just getting started. I need caffeine STAT! Secret Squirrel Cold Brew wakes me up! The yummy cold brew coffee is made with handpicked organic beans that are roasted to perfection, cold brewed for 18-24 hours, double filtered and then bottled quickly. The end result is a delicious non-GMO cold brew coffee that contains twice as much caffeine as traditional cold brew coffee. After a bottle, I am UP! Found at your local Target or online here. How could I not love a small, women-owned condiment company that makes organic ketchups, BBQ sauces and vegan taco sauce? I mean, I’m already saucy but when I cook with Red Duck sauces, I have too much sauce. It’s a flavorful line of sauces that are all organic and made with clean ingredients, it’s like love in a bottle. Red Duck’s “So Unique” Sauce Set is my jam. It includes a curry ketchup, a sweet mustard peppercorn BBQ and a Korean Taco Sauce. I can’t wait to share my short ribs recipe where I used Red Duck’s sweet mustard peppercorn BBQ sauce. It was good. Learn more about this boss babe company and grab one of their holiday sauce sets here. I live for a bath bomb but have you heard of Mixologi, the Original Drink Bomb? Literally, think bath bomb for cocktails. Pick your favorite flavor cocktail bomb, drop into a glass of your spirit of choice and watch the magic. No need for multiple mixers to create a cocktail when they all come in one fun way to make a drink. It’s perfect for an upcoming holiday party, as a gift for the host of a party you are attending, stocking stuffers, or a girls night out. It’s a super fun and new way to drink a cocktail. Turn up! Watch the magic- how cute right? 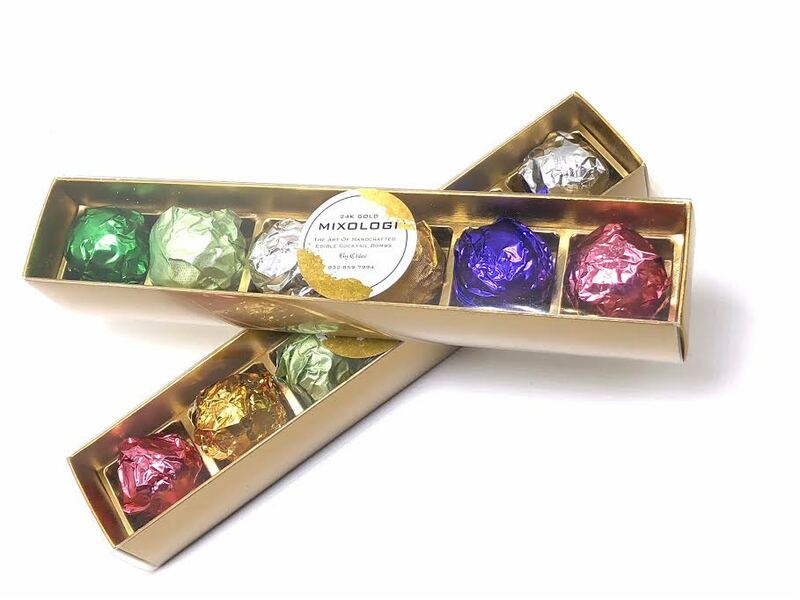 Mixologi, the Original Drink Bomb are available online. Thank me now, your NYE party is about to me lit. Fancy olive oil might feel too splurgy for some to buy on their own, which makes it a great gift. Capezzana's 2015 harvest first pressing fits the bill perfectly. Maybe I won’t dislike doing the dishes so much. This subscription sends four new sponges a month whose pattern fades when they're ready to be tossed—ideal for kitchen clean-up duty. This bottle opener is unique, stylish, and a cinch to use. You can't get far without a decent spice rack. And these tins from Spicewalla's Chilli collection, with ancho, chipotle, and smoked paprika, look very nice on the kitchen counter. Cheers to the freakin’ weekend! Here’s my fly curated list of the top activities you should check out in NYC this weekend. Celebrate Nigeria's Independence at 58 with sounds by DJ Martian, DJ Taela Naomi, DJ Calli B and special guest dj, DJ Tunez. Dance along to the best of afrobeats and trap along with reggae, soca, kompa, etc. Red Light Amsterdam ambiance with chilled R&B vibes. Come learn, flow, chill, and bond over cannabis. The secret Brooklyn, NY location will be revealed once you RSVP. Midtown Madness is held in the heart of NYC at McGettigan's NYC, an indoor/outdoor venue that gives you the opportunity enjoy the dope city scene as you eat and drink your cares away! 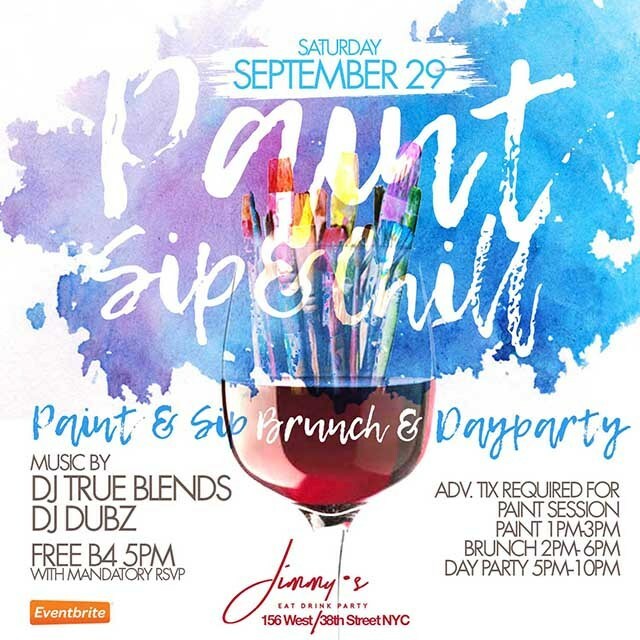 Paint 1:00 p.m. – 3:00 p.m. (tickets must be purchased in advance), Brunch 2:00 p.m. – 6:00 p.m., and Day Party 5:00 p.m. – 10:00 p.m. The 70’s were groovy, the 80’s were totally awesome, but everybody knows that the 90’s were downright dope! 90’s fashion, flava, and especially the MUSIC were everything! DJ E Class will be spinning classic 90’s hip hop and R&B to keep you and your crew moving while you eat and drink. LOCnificent is a festival meets day party geared towards bringing people together and celebrating loc’d hair (locs, dreads, dreadlocks, or dreadlocs). Yet, YOU DO NOT HAVE TO HAVE LOCS TO ATTEND THIS EVENT. All are welcome! How Did I Land a Vacay that was All Expense Paid? Litty again, litty again! Tory Lanez voice! So I was on a sponsored trip to Loreto, Mexico where I covered Celebrity Pastry Chef Week at the Villa del Palmar at the Islands of Loreto. The Villa del Palmar is a gorgeous resort, it's surrounded by mountains and water. Equipped with multiple restaurants, a luxury spa, and a gym, it was so much fun! The food at Villa del Palmar was so yummy, the tuna tartar was the best poolside treat! I ate everything which I know my trainer is going to make me pay for. Loreto is a tiny city located on the Gulf of California in eastern Baja California Sur state, Mexico. There were no Black people in this city. Just me. Black women when you start to travel, your beauty will be revered. Don't let the boys in your hood tell you, you aren't beautiful. I was giving life at the resort. For four days, I ate desserts made by Johnny Iuzzini from "Top Chef: Just Desserts," and Devin Alexander from "The Biggest Loser" while Jonathan Bennett of "Cupcake Wars" hosted. Johnny made the best banana foster fritters but I think he really had a thing for chocolate. The resort has so many activities and gorgeous views. True Story: we took a boat out and went snorkeling at Carmen Island. We get to Carmen Island for snorkeling and I see something big and dark and I'm OUT! I then swim right into rock. My nail comes off. And the big, dark thing I saw? Another rock. I watch too many shark and ocean documentaries. The trip was amazing tho! I met some of the coolest bloggers who were also covering Celebrity Pastry Chef Week at the Villa del Palmar at the Islands of Loreto. How did I land a vacay that was all expense paid? If you’re in the D.C. area on July 9th, I’m teaching a class called The Fly Girl Guide to Branding at the Greenbelt Marriott. Tickets are $65 and it includes an all you can eat brunch and a 60 minute session where I'm teaching how to land advertising, sponsorship and the tea on personal branding. Grab tickets here! Hope to see you there!